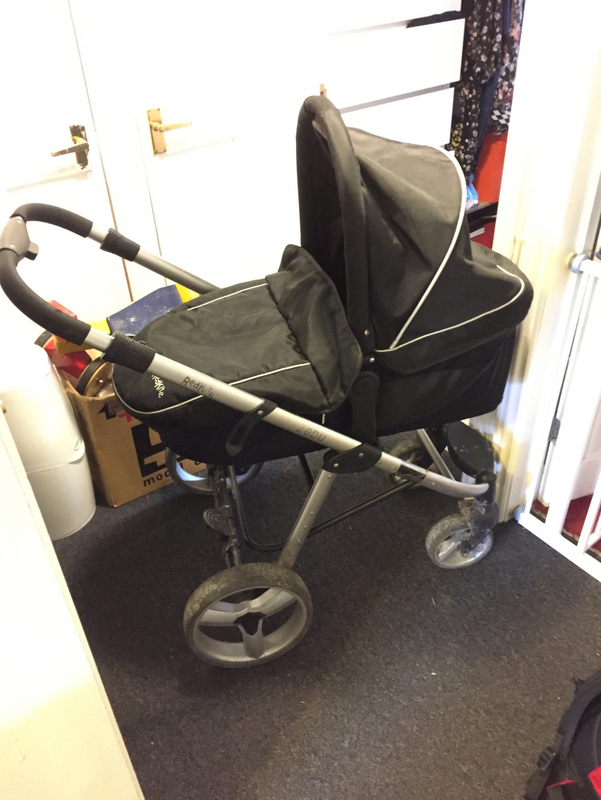 Helping Frome residents rehome their stuff since 2013. Join the reuse revolution. Throwing something away? Please reconsider. 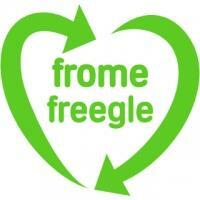 If you live in the Frome area, please offer your reusable items to other group members. 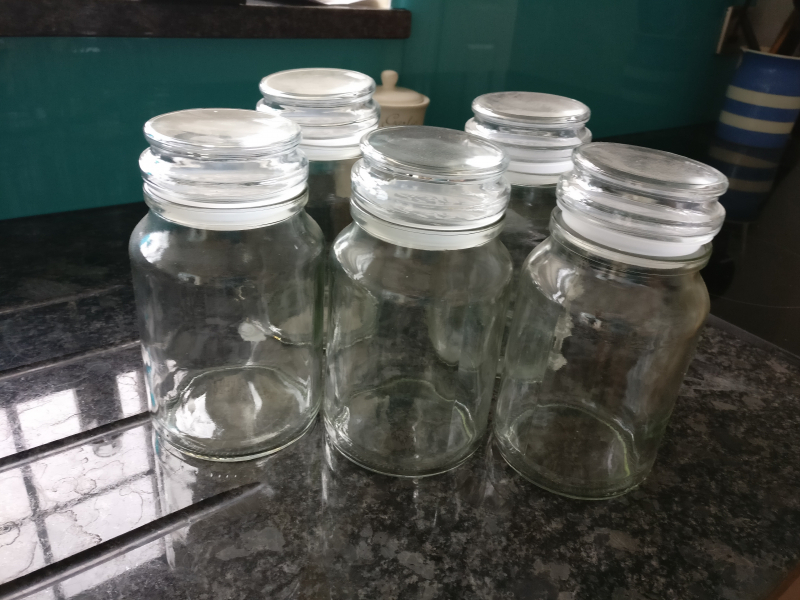 Keep it out of the waste stream by giving it away to someone who can re-use it. 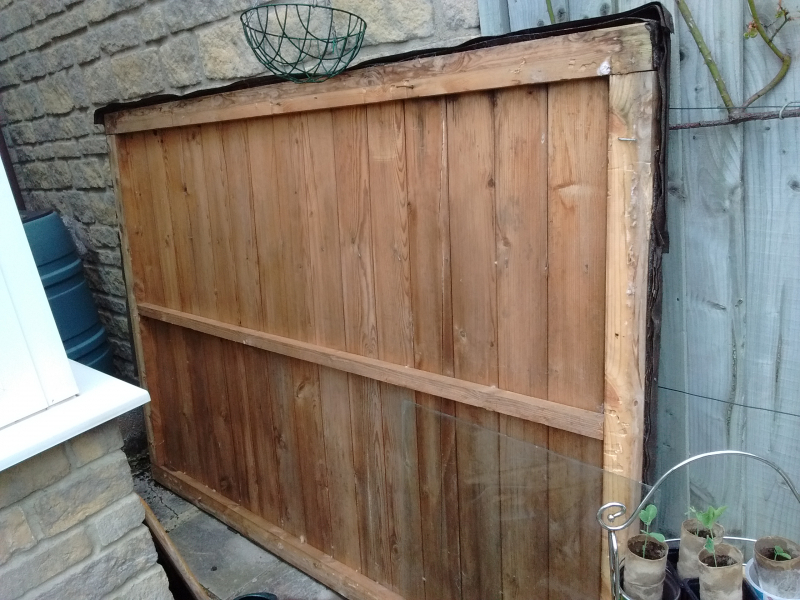 Old wood - fence posts, gates and thin wood pieces for kindling / small fires. Mixture of plastic coathangers. Please save them from the tip! Garden shed, dismantled. The roof is 1.9x1.3m still solid and with roof felt attached. The rest of the shed is only good in parts so the wood could be used for other projects. 2 sides of the shed and door are good and intact. Garden shed, dismantled. The roof is 1.9x1.3m still solid and with roof felt attached. The rest of the shed is only good in parts so the wood could be used for other projects. 2 sides of the shed are good and intact. 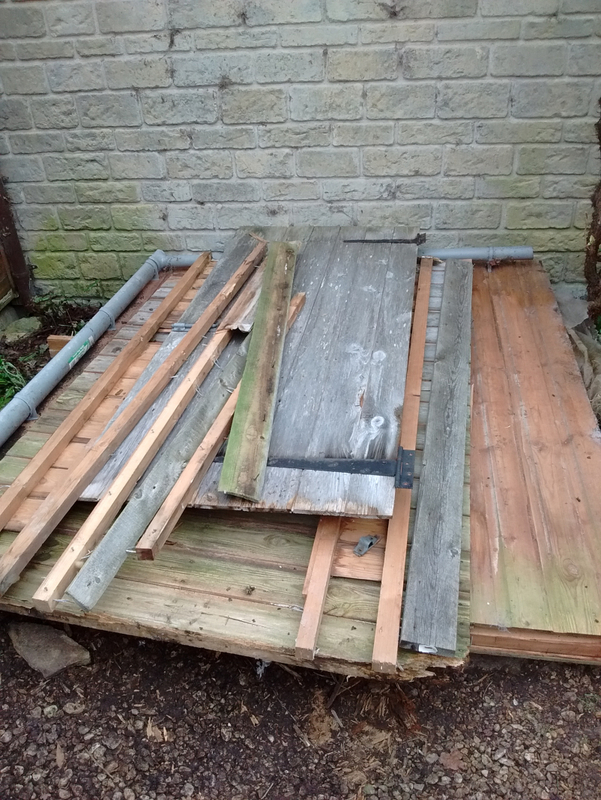 Hi, this is not a complete shed as the floor, one side and the front had become rotten, however the roof is sound and has roof felt attached, the door is also sound and two sides are still good, so I hope someone can make use of these. The roof is 1.9m x 1.3m, the door is about 77cm wide by 1.7m high. See photos. 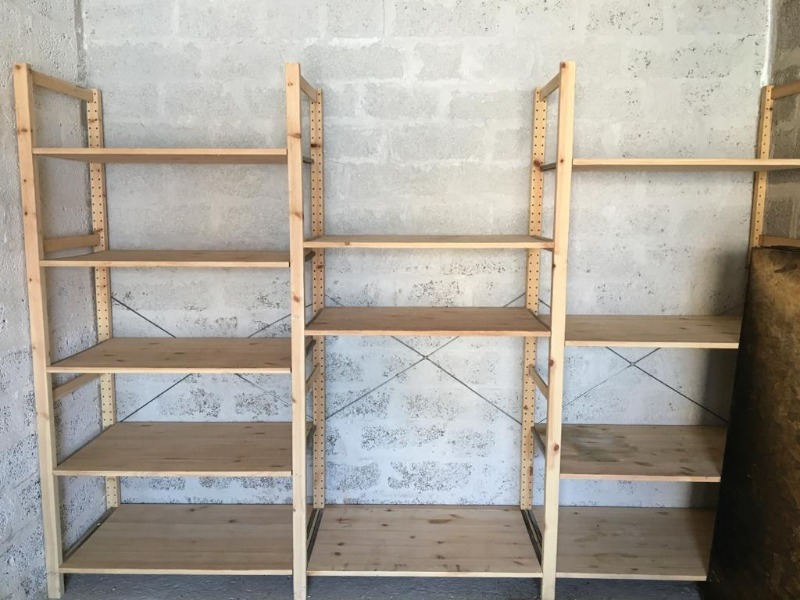 Selection of IKEA Ivar shelving that can be made to fit many designs. The picture shows one option. 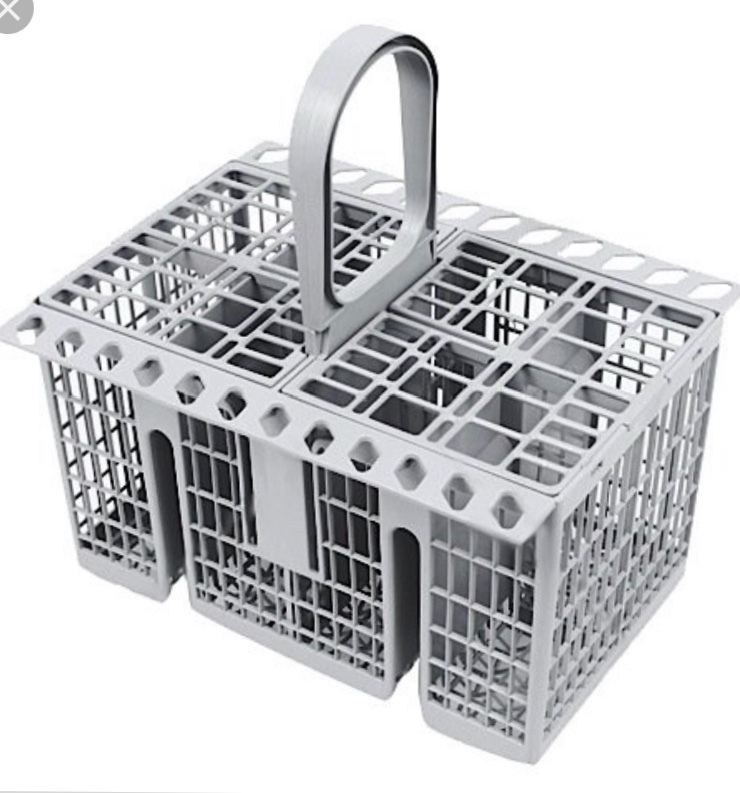 Good for shop, office, garage or other applications. In reasonable condition and ready for assembly. Cross stays and all fittings included. Light weight for easy and rapid assembly. Narrow 30 cm and wider 50 cm shelves and units. The following sheets of 1220 x 2440 board are available. 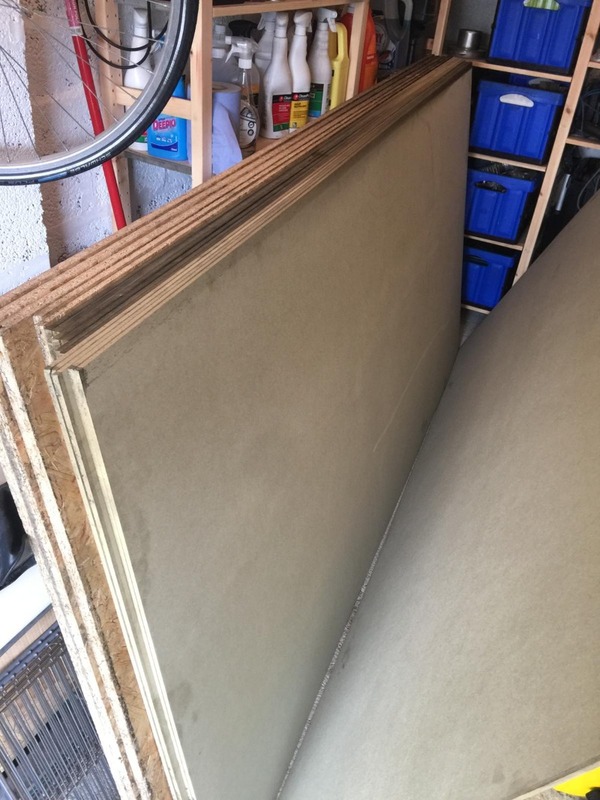 3 sheets 18mm 2 sheets 12mm These are OSB3 smartply 4 sheets 9mm 8 sheets 6mm These are 'Green' MDF - Water resistant. There is some smoke damage to some of the sheets which could easily be removed with light sanding. 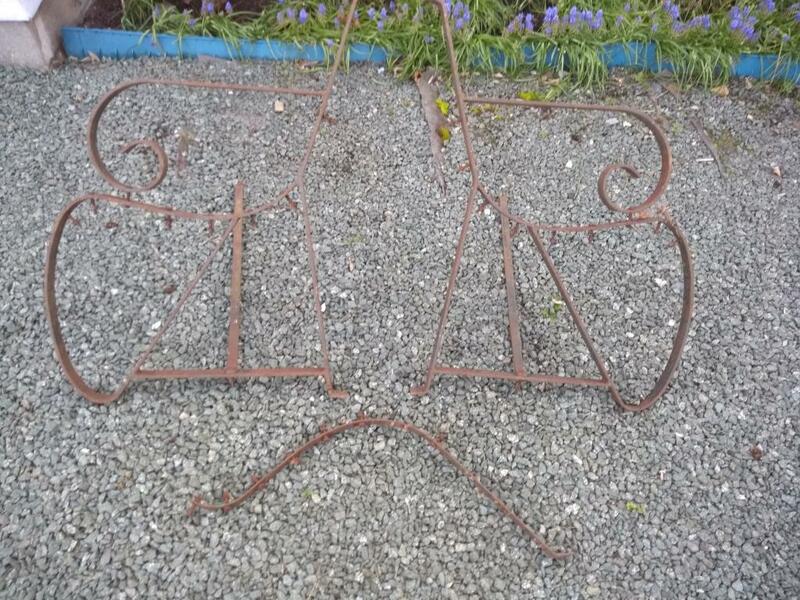 frome offer - Garden bench ENDS Please check photo, if its what you thought, let me know and when u can collect. 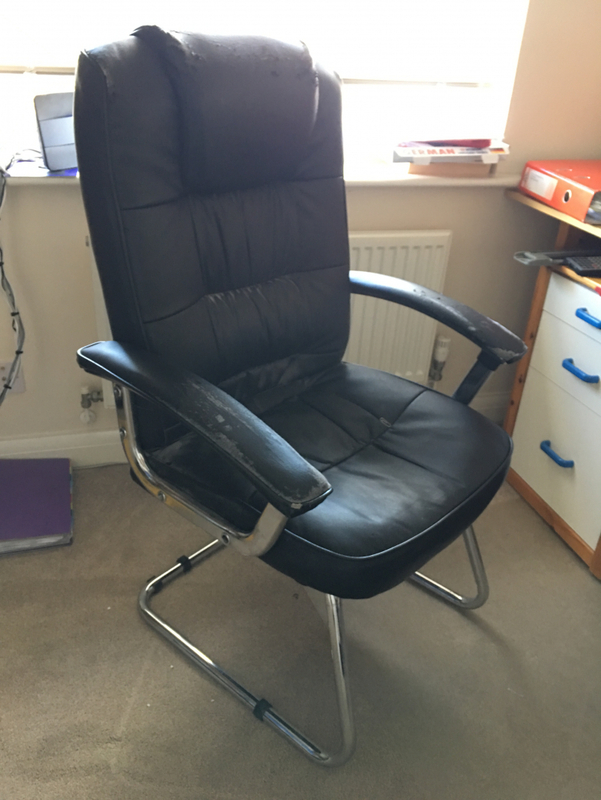 Black, leather effect, heavy duty chair, with arms. Showing signs of wear, but perfectly functional. Generously proportioned, 72 cm width across arms. 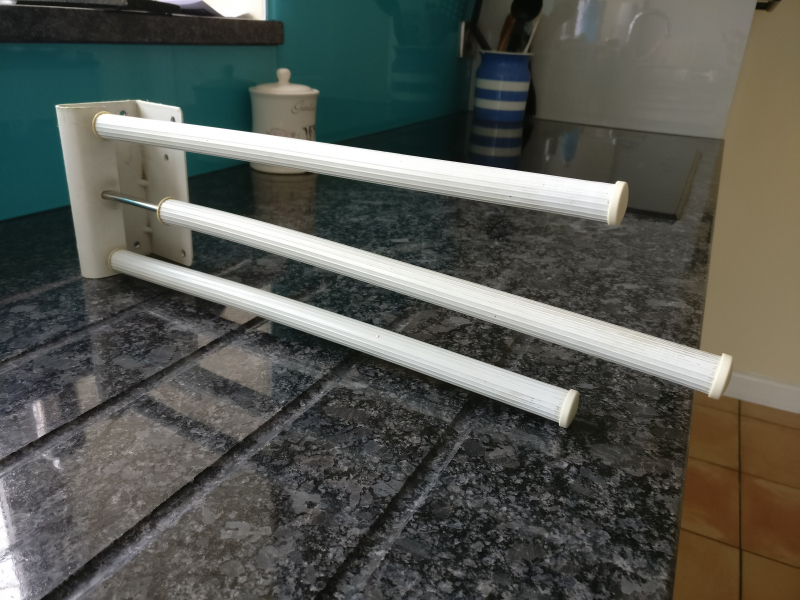 Sturdy towel rail for hanging tea towels, oven gloves. Collection from Berkley, Frome. 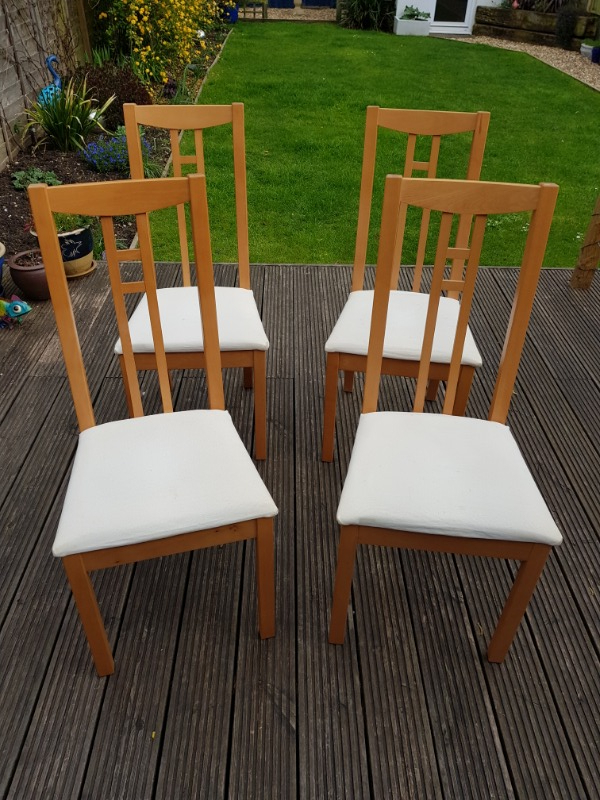 4 dining chairs with cream removable (washable) covers (IKEA - Aron). Would like these gone this weekend if possible. 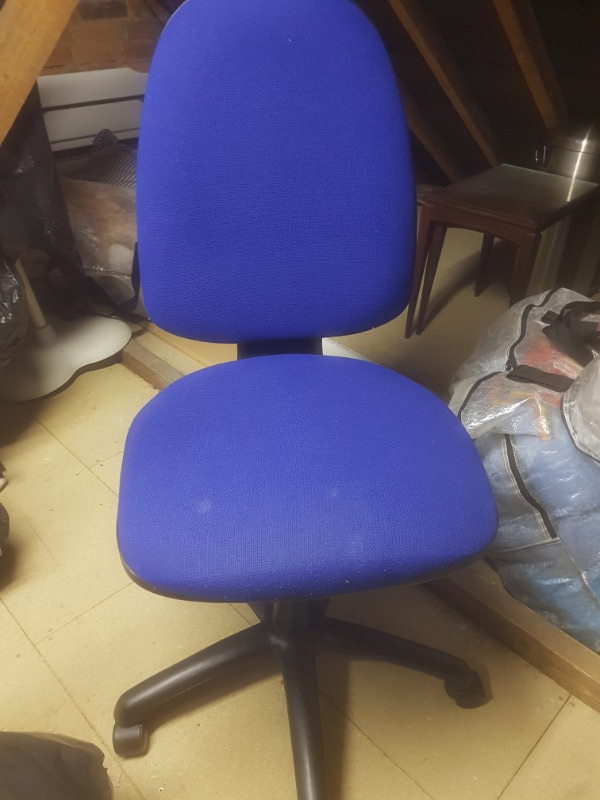 Blue office chair with detachable arms. Would like this gone this weekend if possible. 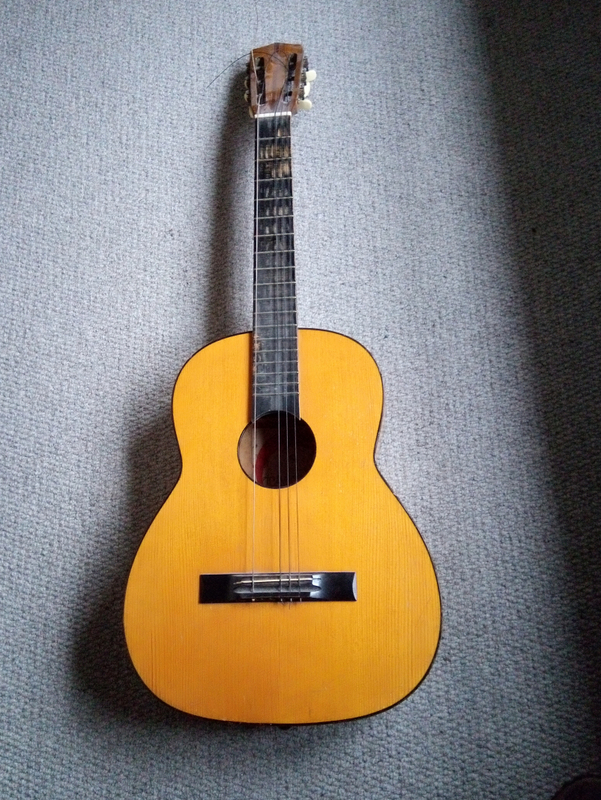 Spanish style acoustic guitar. Made in E Europe. About 1960. Some wear, but nice, mellow sound. Needs new set of strings. C/w metal music stand. 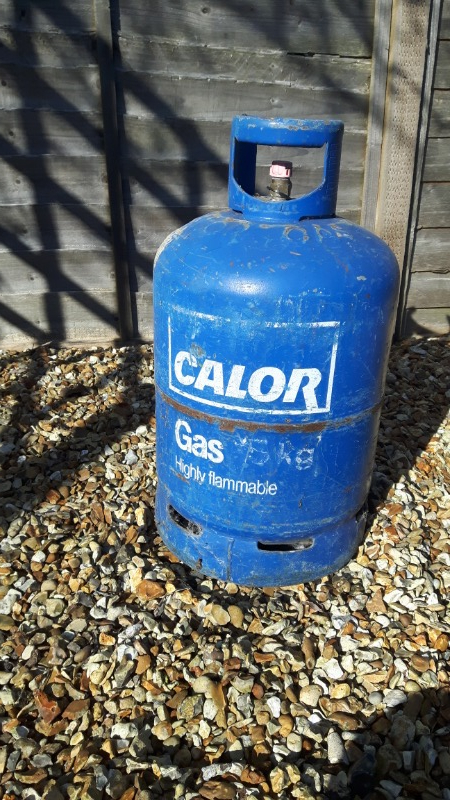 15kg Butane gas bottle - empty. About half a tonne of blue slate chippings. Already bagged in about 20 bags for easy collection. 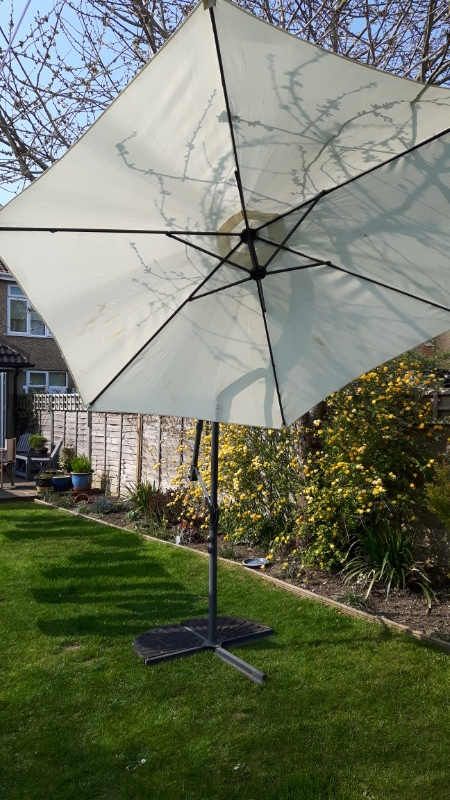 Garden parasol (cream colour - faded by the sun) with stand and counterweights. 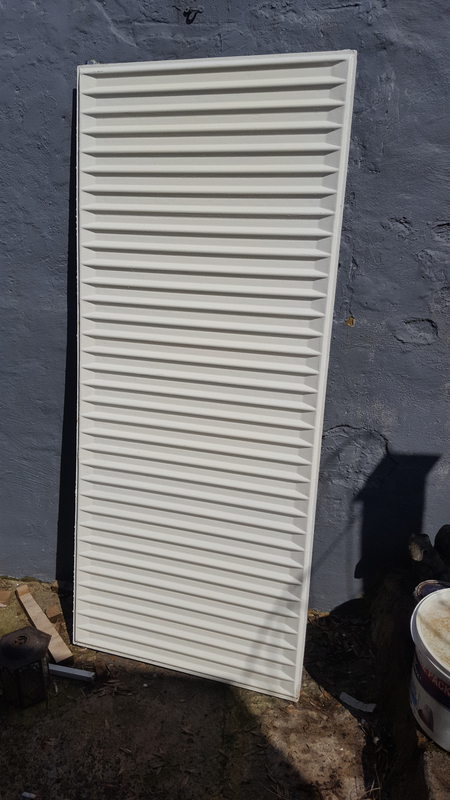 Can be screwed down to decking (as I used it) or free-standing with counterweights. The winding mechanism tends to unwind itself, but it's OK with a loop of para-cord to secure it, and I had to tape up the locking sheath (photo 3).